Home / Fashion / Review / Style / BELLA MAMMA ARE LAUNCHING THEIR TEES!!! The wonderful duo, Julia and Jennifer who are Bella Mamma have been busy creating something that is made for Mothers by Mothers. To help make you smile, to make you feel comfortable, to make you feel confident, to make you feel proud, to make you feel the awesome Mother you are! These beautifully designed tees have been styled for any occasion, that are simply apt for meeting greeters or just relaxing at home. Bella Mamma have a great selection of tees available over at the tee mill that will help keep you smiling throughout your venture into motherhood. Each tee has been made from organic or recycled materials in an ethically accredited wind powered factory, all tees have been hand finished using low waste printing technology in the UK. 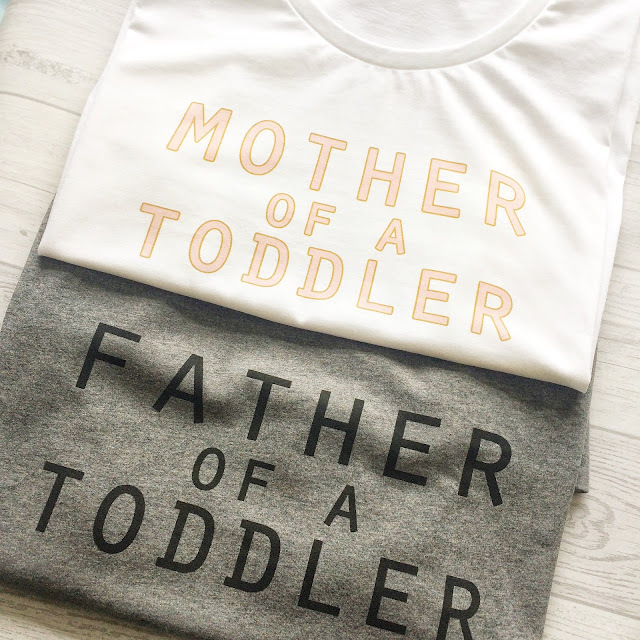 Bella Mamma are mothers who have been inspired by other mothers to create something special in the form of these tees with feel-good designs aimed to brighten up other their day. Smiling their way through the challenges that many are faced with during motherhood. Each tee has been especially designed and printed on hand finished cotton garments, that have been ethically made. Bella Mamma offer a wide range of slogans, colours and sizes for both mothers and fathers. And on top of that, you will help other Mothers and their babies too! With every purchase part of the profit will be donated! This month Bella Mamma will be supporting Warwick Hospital's Neo Natal Unit! You can find our more information on their just giving page. The lovely Julia kindly offered both my husband and I a special tee all of our own. There were too many designs to choose from in the end I decided to go for 'Mother of a Toddler - Embracing the chaos and loving it', in white. It was a no brainer, this one really made me smile. How quirky is this slogan tee? I could choose from White, Red Wine, or Athletic Grey ranging from sizes 8-18. 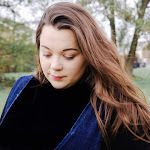 I checked over the sizing and the Bella Mamma Tee Mill recommends that you choose a tee in your size, if you're in between measurement then opt for the larger size. But to be honest, I don't think there was any need for that recommendation, as my tee fitted perfectly. I am not just saying this, I wanted a tee that wouldn't be tight fitted to try and hide the ole mum tum and this Bella Mamma one was perfect. For my husband, I asked Julia to send over a 'Father of a Toddler Basic' in Athletic Grey. I adored the neat design of this slogan tee which looked like a good sized, comfy tee. When my husband tried his on for size we were both surprised that it fitted perfectly. As we read the recommendations to get a larger size if we measured in between sizes, but honestly, again there was no need. Bella Mamma tees are perfect for sizing. These tees are available in Denim Blue, Navy Blue and White, ranging from sizes Small to XXL. I think theses tees would be the perfect gifts for a birthday, Christmas and Father's Day. But as well as these quirky slogan tees there are also offered another items on their Bella Mamma Tee Mill. With their 'Mother of a Toddler Boy Bag' in White, a perfect solution for mothers who have to carry a truckload of things around with them for their little ones. I am pretty sure you know exactly what I mean! Both my husband and I are very happy with our Bella Mamma Tees and the fact that they offer a rapid service, completely free, no-fuss returns and easy exchanges made them so much more appealing. I do have to say the customer service that I received with Bella Mamma was outstanding with the frequent emails to let me know that my parcel was on it's way, it was that step further that so many customers want. So why don't you embrace the fun in motherhood and help other mothers too and get a Bella Mamma Tee from Bella Mamma Tee Mill? 21 comments on "BELLA MAMMA ARE LAUNCHING THEIR TEES!!!" We are glad you like them! We are Mothers navigating the fun and pain of having toddlers and we love to support other Mothers ! We are so glad you love our tees! We are Mothers navigating the fun and pain of having toddlers and we love to support other Mothers ! Oh these are super cute. I love t-shirts with slogans and words. These look great and I love the grey top best! We are glad you love our slogan! We are Mothers navigating the fun and pain of having toddlers and we love to support other Mothers ! We are glad you love our Tees! We are Mothers navigating the fun and pain of having toddlers and we love to support other Mothers ! We are glad you like our Tees! We are Mothers navigating the fun and pain of having toddlers and we love to support Mothers !